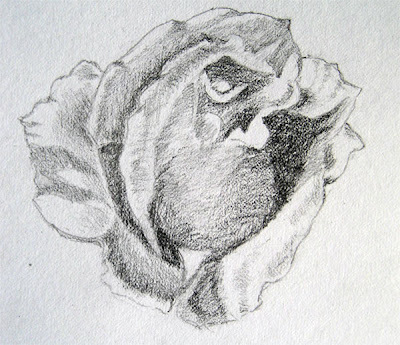 Sketching roses isn't an easy job, especially not for me. 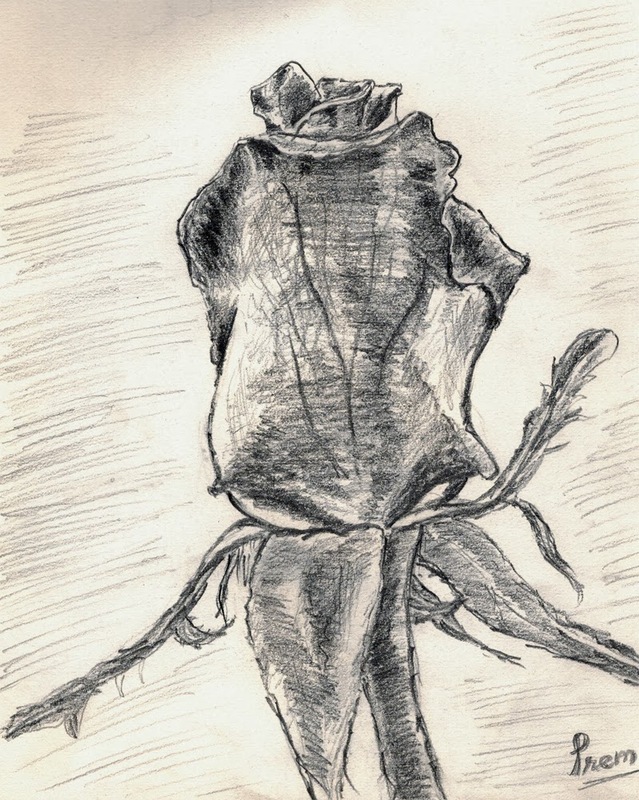 However, it is one of the most tempting thing to do since rose is perhaps the most liked flowers of all. 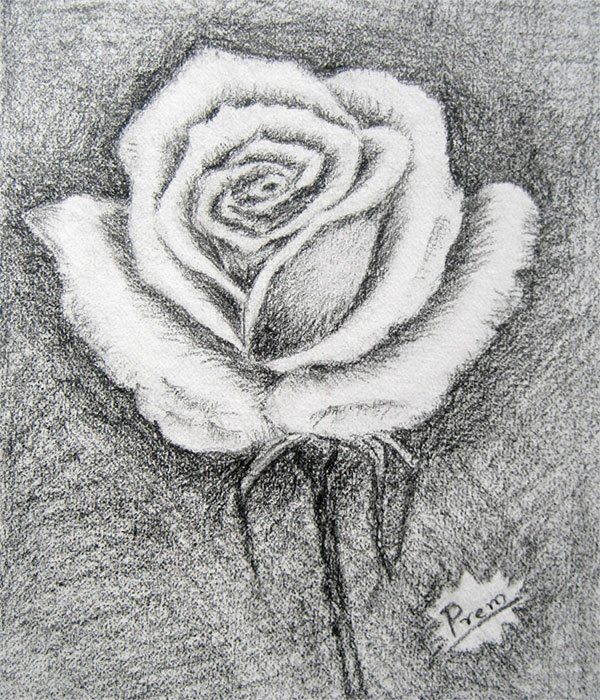 Here's my latest sketch of rose. I made this by referencing a photograph picture. 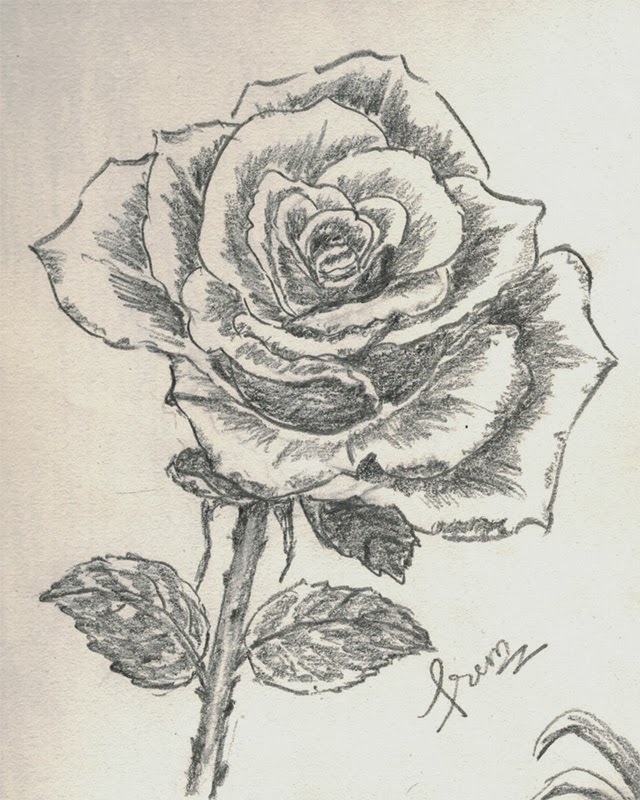 I made this rose from online reference. I made this one by referencing a poster picture. These are the old ones. 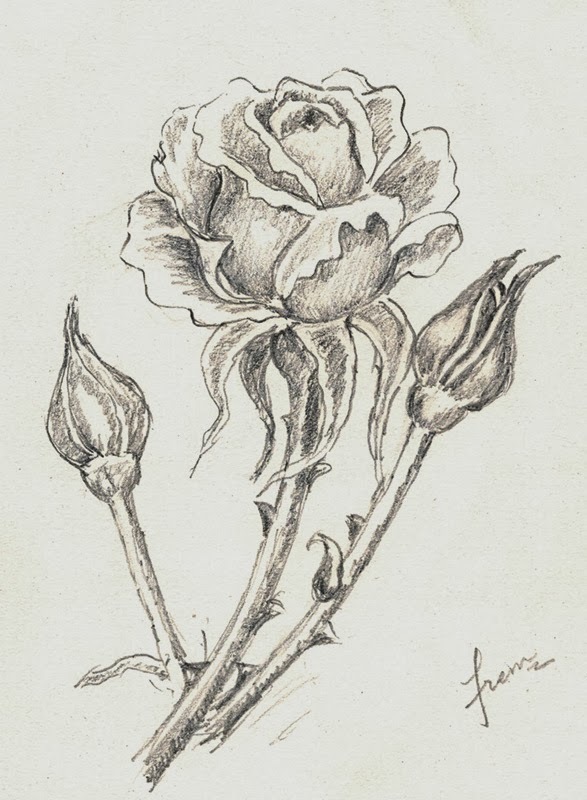 In this sketch, I shaded the background to produce a white rose. I wasn't sure whether the effect would work but it did to some extent. This is a work-in-process sketch of a rose. 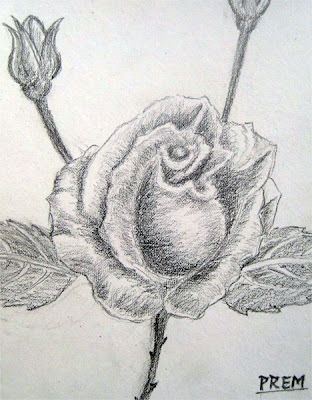 Until this stage the rose was going fine. However, it went bad after this point, especially when I had to do the leaves and the stem. Finally, I made another sketch of the same flower above. It was also equally difficult but I managed to convince myself that it was okay and worth sharing with you. Please share your views about these sketches in the comments below and motivate me to make more and more sketches in the days to come!